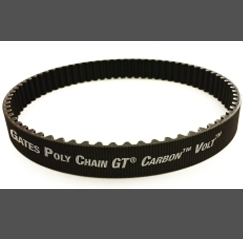 PowerGrip® GT3 is Gates’ latest development in synchronous rubber belts. 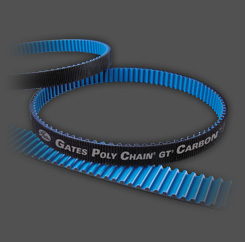 This technically advanced belt covers the widest range of industrial applications. 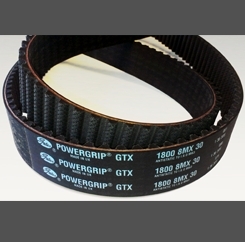 PowerGrip® GT3 transmits up to 30% more power than the previous generation belts. The entire PowerGrip® GT3 range is designed to run on existing drives and does not require any adaptation of the system. Upgraded construction with fibreglass tensile cord, elastomeric teeth and backing and nylon facing. 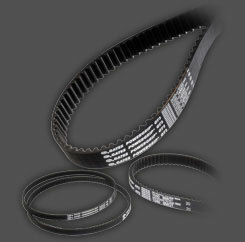 High capacity belt with reduced noise levels.